This week, we are thrilled to be interviewing a good friend of Smashwords, Alison Baverstock, based in the U.K., about her book The Naked Author: A Guide to Self-Publishing, with Bloomsbury. As a former publisher herself, Alison brings key insights into the how independent authors can replicate the critical elements traditionally supplied by publishers in order to create successful ebooks. [David Weir] Welcome! 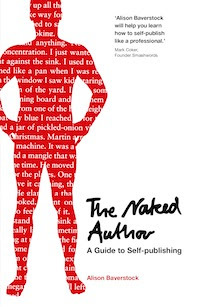 You've just published The Naked Author, a new book about self-publishing, what can you tell us about it? 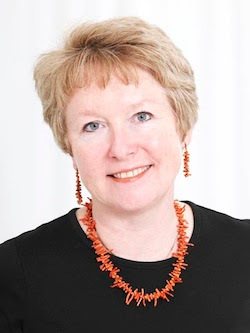 [Alison Baverstock] There have been very useful books about self-publishing, but they have tended to concentrate on the how of the process rather than the why. I do talk about the practicalities of what to do and in what order, but first I spend a large chunk of time talking about why you might want to self-publish, what you can expect from the process, what it will take out of you, how you may feel when you share your writing and others respond – and above all, how to think about the associated writing. To me that’s crucial. Writing a book is a huge endeavour, and to spend all your time thinking about the packaging rather than the content is like producing a box of chocolates without considering what will go inside. [DW] What are some of the major findings of your research into the world of self-publishing? [AB] Although I used to be a publisher, and have written extensively about the publishing industry, these days I am primarily an academic – I am Course Leader for MA Publishing at Kingston University. The new book therefore began as a research project – with the objectives of finding out more about the scale of self-publishing; how the stages worked in comparison with traditional publishing; how the process was impacting on the role of the author and the availability/perceived value of reading material. So far, so relatively straightforward – although I have to say a view reached me that this was a not a particularly worthy use of my time. As I explored, I discovered the variety of ways and circumstances in which self-publishing solutions are now being used – it’s a process, not a single product. Whereas the traditional industry has assumed that authors choose self-publishing when they have given up hope of a traditional arrangement, I discovered that there are many reasons for getting involved other than financial. The preservation of material and the self-validation that the process can bring are both significant – self-publishing is playing an increasingly important part in what as a society we both value and preserve, and usually feels good for the writer. [DW] How did you go about this research and which groups did you work with? [AB] I tried to talk to all stakeholders in the process: authors (would-be; self-publishing for the first time; serially self-published; those who have been traditionally published and then self-published – and those who have made a journey in the opposite direction); publishers; agents; self-publishing houses; self-publishing service providers (freelance editors, illustrators, cover designers etc); retailers; content purchasers and readers. I talked to members of the Society of Authors and to subscribers of the magazine Writer’s Forum, for whom I write a monthly column – as well as contacts made through other research projects. Phew! [DW] How has teaching informed your research? [AB] Teaching a subject is always the best way of ensuring you really understand, plus it gives you access to a broad and ongoing market research group of lively minds who will both challenge and extend your thinking (and make you aware of trends of which you previously knew nothing). Right now there is a rather lazy school of journalism that regularly announces: ‘Publishing is dead.’ I think rather that Publishing is alive and kicking – it’s spreading out rather than dying, and is now being valued and used by many more people. What is more, the need for publishing services by those who decide to self-publish will create employment opportunities for our students in future, whether as part of self-publishing (full/part) service companies or the freelance market. [DW] Is the growing trend of independent authors self-publishing restricted mainly to the U.S. and Europe, or is it a global phenomenon? [AB] It’s a worldwide phenomenon, as I show in the book. Availability is almost boundary-less, although local cultural, economic and demographic factors will impact on how readily it is taken up. [DW] What do you think are the best practices, i.e., the keys to successfully self-publishing ebooks? Think carefully about the content that you want to preserve and why. The project must have value for someone, or you will lose heart. It’s not a short cut. If you want readers to invest their time in your work, you must make your material as good as it can be – and so all the same processes of manuscript preparation (editing in particular) will be needed. It’s possible to manage these yourself, but being objective about your own work is really hard. Nor is it a race. Take time to consider why you are doing this, what you want out of the process, and the resources you have available (time as well as money). List (publish) too soon and you may live to regret it – negative feedback hurts. Consider carefully who will manage the process for you. You could work with one of the one-stop self-publishing firms that now exist or you could use a range of suppliers, each handling a different stage (structural advice on editing; copy-editing; proof-reading – and it’s important to understand the differences between these three distinct and essential stages of content preparation; design for the ‘front cover’ image that will sit next to your title on the website where your work is available; marketing support). A frequent outcome of self-publishing is an appreciation of just how labour-intensive effective publishing is. A self-published book does not have to sell to be worthwhile, but if that is your aim, promotion will be needed. Marketing is an open-ended activity, which can consume as much attention as the writing. Do you want to be a writer – or a publisher instead? [DW] What are some of the non-monetary rewards of self-publishing your research has identified? [AB] This is really significant. Traditional publishers have assumed that only material that matches their exacting standards of text management could offer any measure of satisfaction, whereas many self-publishing authors are motivated by other things – like finally recording a story they have had in their head for years, or securing a family memoir from an aged relative that will be sorely missed if it remains uncaptured. There is research to be done on the correlation of writing quality, format for sharing and associated satisfaction, but in general professional publishers should be wary of assuming that everyone can recognise the evidence of what they have added to the process. Indeed to me this is one of the real problems for the industry, that the effective application of publishing skills is only evident when absent. Most of the time, we don’t notice how well managed the text has been – it simply flows into us. [DW] You've stated that "writing is good for us." Please explain how and why? [AB] Effective management of content, through the reworking of material until you are really satisfied that it is as good as it can be, brings reflection, analysis, an appreciation of the value of order – and often a terrific sense of catharsis. Well managed writing is also good for the reader, and there have been some interesting studies lately that have shown the regular reader to be happier in all sorts of ways – as well as a more empathetic colleague in the workplace. To me if there is one danger in the huge explosion of self-publishing, it is that as a society we stop reading. I don’t think you can be an effective writer without also being a committed reader; a relationship where both parties are always on send, can mean neither is really listening. Do self-publishers have a responsibility to ensure that what they present to the world does not turn people off reading? There are also issues to do with boundaries and censorship that need discussing. Professional publishers have always played a role in providing/preventing access to material of dubious public interest, and have often ended up taking the rap for highly controversial content. So we need to think about who manages such curation now – or does it not matter? [DW] As one who has been a traditional publisher yourself, what are the impacts you see on traditional publishing through the growth in self-published ebooks? [AB] I think the availability of ebooks (whether traditionally or self-published) is having a profound impact on the market for publishers’ products. Today there are other ways of reading than the simple printed codex, and once people have got used to reading on a handheld ereader, they may stick with it. More reading may result! Plus of course ereading has benefits for readers that were excluded by traditional formats (those with poor eye sight who can now increase the type size to suit their needs) or those who saw carrying books as either uncool (some teenagers) or too heavy (frequent travelers in particular). There are also subtler effects on the industry due to the changing balance of power within publishing – the decision making process is definitely shifting. Traditionally, authors were dependent on their publishers for communication with their readers – fans would write an appreciative letter to their publisher, who would pass it on. 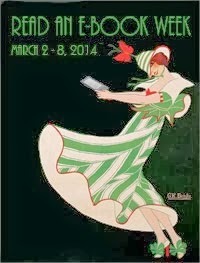 Today that relationship is largely unmediated as authors have websites, use social media to communicate their writing (often sampling it with loyal readers before making it wholly available), and make personal appearances – either in cyberspace through blogs or YouTube, or live at literary festivals. And as publishers delegated more and more of the marketing of their titles to authors (because the explosion of media made it very hard to predict how to reach their customers, and the authors were often more in touch), so in the process authors became firstly more confident, and then more demanding. This enhanced awareness of their importance to the whole process is not going to go away. Finally, self-publishing an ebook has become a really good form of market research. It’s now relatively common for an author to prove the existence of a market for their work by producing an ebook – and then having identified the size of the readership, and how to reach it, returning to the traditional industry with a strong case for investment. Or not – and continuing to manage the process themselves. [DW] You mentioned to me that indie ebook authors have an opportunity to better appreciate all the things that publishers have offered authors in the past. Can you elaborate? [AB] I think involvement in self-publishing makes authors realise what traditional publishers did for them. Effective publishing is a lot harder than it looks. [DW] You decided to publish "The Naked Author" through a traditional publisher, Bloomsbury. Why not self-publish it instead? [AB] One of the real issues for writers is how to boundary your writing time, and I mean being conscious of the time you spend on writing-related activities, as well as all those displacement temptations. As there was a professional publisher willing to edit my work, commission a stylish cover, take the financial risk and then bring it to market, [I decided] it’s a better use of my time to work with them rather than learning how to manage the whole process myself. I meanwhile can move onto my next book (I am writing about how to manage fame, basically through the eyes of the 1970s heart-throb Marty Kristian, member of The New Seekers, and his greatest fan – who happens to be my cousin). 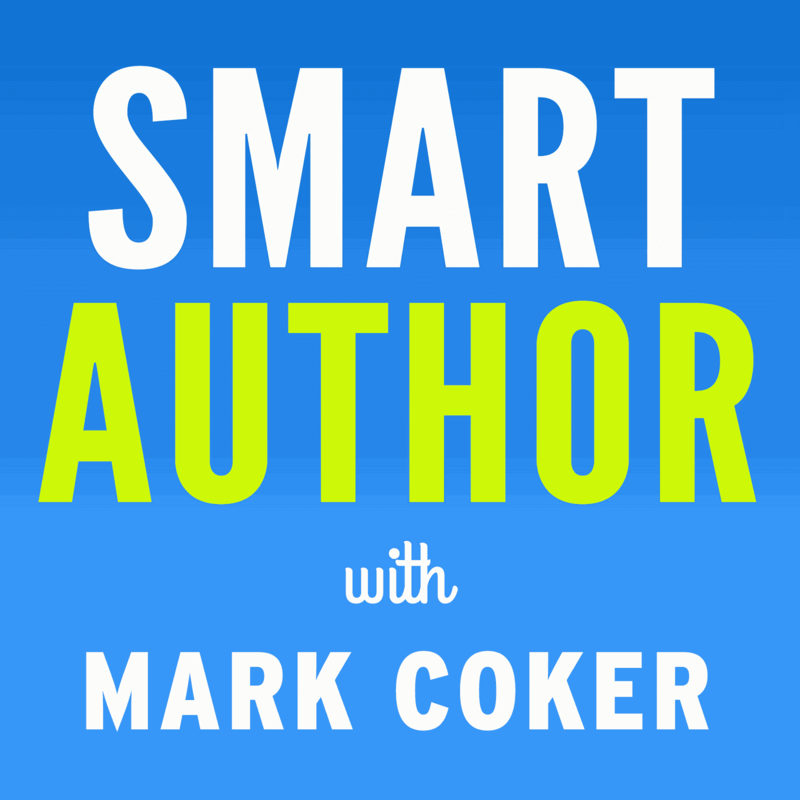 [DW] You invited Mark Coker, the founder of Smashwords, to contribute the foreword to your book. Can you tell us why you invited him to provide this? [AB] This has been a rather odd project in that it crossed so many boundaries: a traditional publisher producing a book on self-publishing; a university academic exploring a subject that had been considered beyond respectable notice for so long; all against the background of fast-developing change. I was observing however that as an awareness of self-publishing was spreading, so entrenchments were hardening. So while it is true that professional publishers did sometimes miss writing that turned out to have a much wider appeal than they had envisaged, that does not mean that the industry as a whole should be dismissed - nor that everything that is made available through self-publishing is worth sharing. In my view a technical ability to share content brings with it a responsibility to make the content as fine as it can be, and the faster that dissemination is possible, the more care needs to be taken. It was my friends at Anthemion who suggested I look at the Smashwords site and in the way Mark wrote about the process I recognised my own values and ethos and so got in touch - initially to ask him to introduce a conference on self-publishing that I was running at Kingston University (which he did at 2 a.m. his time via Skype) and later to discuss current developments. Asking him to write the foreword was a natural extension of the initial empathy and later friendship that evolved. [DW] How did your publisher feel to have a sometimes-critic of traditional publishing supply the foreword to their traditionally published book, and what was their impression of his message? [AB] Well as always with content to be formally presented in published form, the material went back and forwards a few times until we were all happy with what was going to appear in the document of record. But good publishers are fully aware of the challenges ahead, and are seeing this as an opportunity and not a threat. I salute their imagination in seeing Mark's involvement as the former rather than the latter. We are united in our belief that while all writing is worth doing, it's not all ready for sharing and the long term goal of all stakeholders has to be to offer material that is worth the investment of the reader's time. [AB] Why thank you, this has been most interesting. And I am delighted to have been asked to participate. The Naked Author is available in both print and ebook at Amazon and Barnes & Noble.